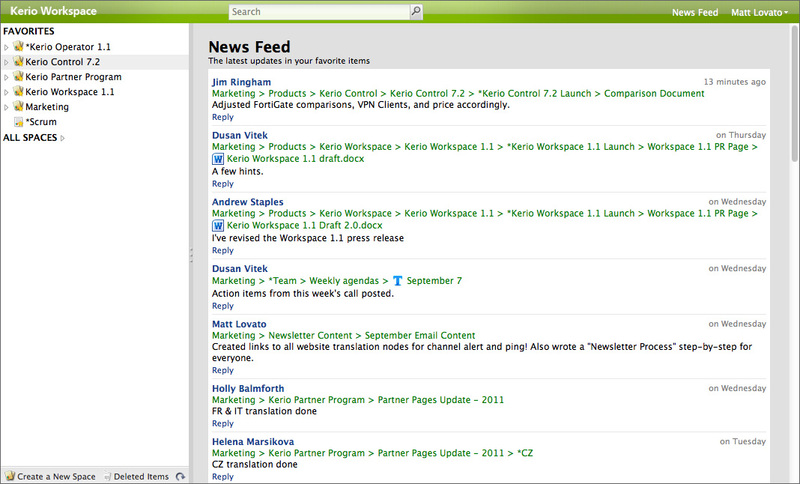 The idea is that organizations will use Kerio Workspace to organize and track changes to documents and other content files. As one might expect, it has a system for tracking changes, and social elements like a “news feed” where co-workers can post what they’re working on. It also lets users create internal “web pages” to display documents, audio and video, and users can specify if they wish to receive alerts by email. A touch-based mobile web interface for the iPhone, Android and BlackBerry smartphones. The ability for users to create templates by copying existing page layouts and/or content. Drag and drop file uploading. Enhanced administration and security options. 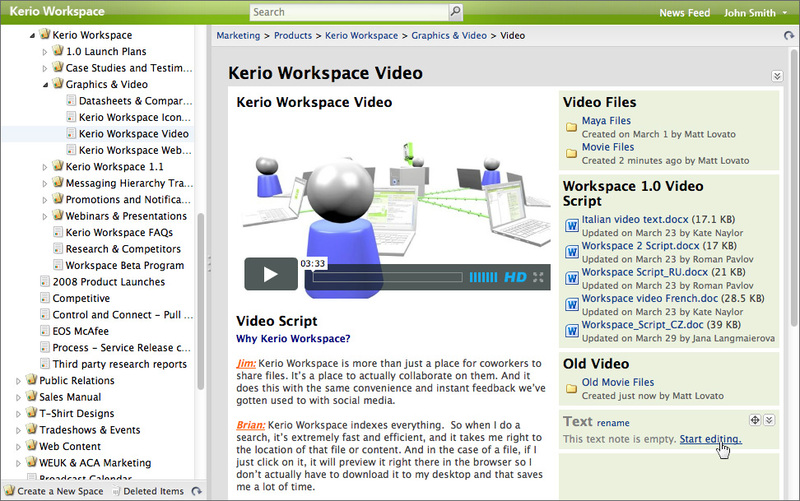 Kerio Workspace 1.1 can be hosted in-house on your organization’s servers under Windows, Mac, Linux or VMWare. Pricing starts at $150 for a 5-user license. Additional user licenses are $30 each. Hosting is also available from resellers at additional cost.